**Brandy aka The Royal Family asked me (the other Brandy) to guest post because her entire family has been hit with the sickies. I wish them a quick recovery & hope that you like my dish! 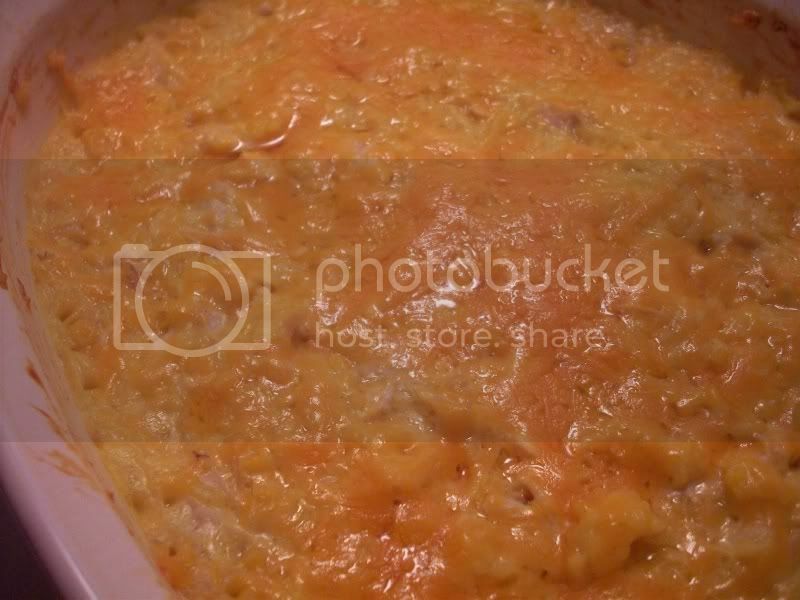 Recently I stumbled across a site by the name of Southern Plate and then proceeded to spend hours reading through the recipes & family antidotes. Warning: If you are trying to lose weight do NOT go to this blog. It is full of comfort food. 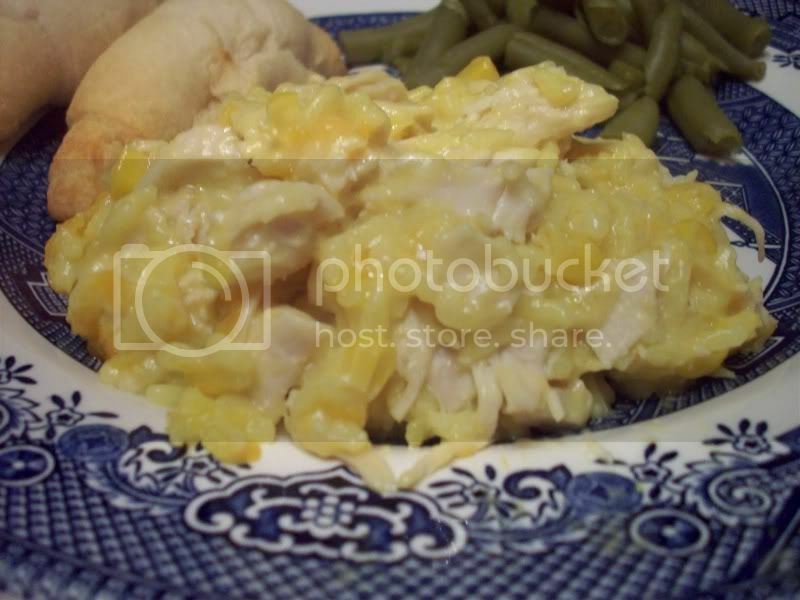 Down home, simple, delicious, comfort food like the Cheesy Chicken & Corn Casserole I made last night. Everything you need should already be in your kitchen because again these are simple recipes. Not like that crazy stuff that Top Chef contestants come up with, but real food that real people (like me) can make and enjoy. 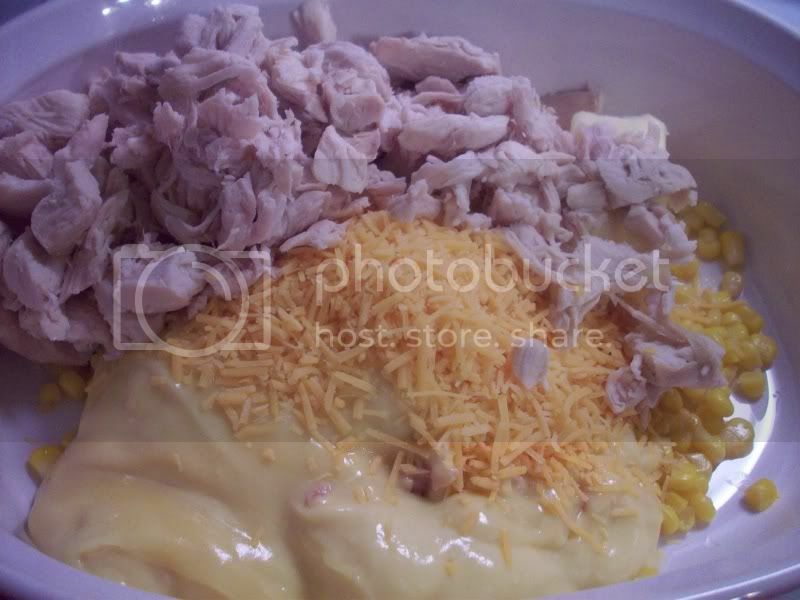 After it's well mixed, put the remaining cheese on top. Bake in a 350 degree oven for 30 minutes or until everything is nice and bubbly. -SP's original recipe called for a WHOLE stick of butter. I thought uh, no, and used 1/2 stick. Even that could be cut back without affecting the recipe I think. Next time I may even omit the butter all together. 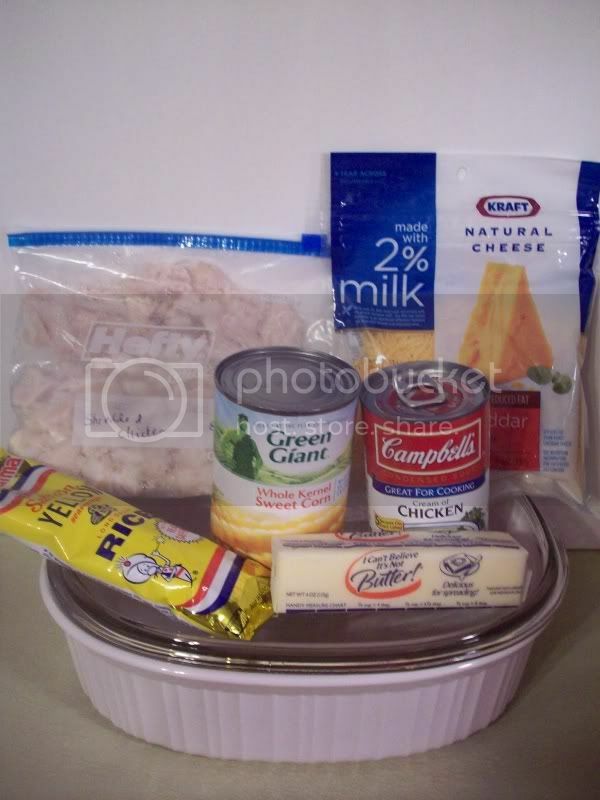 -You'll notice that I just mixed everything up in my casserole dish. I mean why dirty a bowl for nothing right? -As displayed by the previous statement I am lazy so I typically cook & freeze chopped chicken and ground hamburger. That way I only make one mess but I have cooked meat ready for me whenever I need it. Obviously if you don't do that you will have the extra step of cooking and chopping your chicken. It may not be the prettiest dish to hit our plates but this casserole was delicious. We give it 5 spoons!